Batteries drain faster when the temperature drops so it is crucial that you check the age of your battery and have the voltage tested so you can determine if and when your battery needs replacing. Diesel fuel contains paraffin which, when cold, can turn your fuel into almost a gel. This can lead to everything from rough operation to full engine failure. To avoid this, add anti-gel additives at every refueling and use high cetane rated fuel. *Remember to check your owner’s manual before using an additive and closely follow mixing instructions. Speaking of fuel, be sure to avoid any fuel contamination. This can be done by monitoring your water separator daily. Water contaminates, such as condensation, will shorten engine life. Be sure to drain your separator if you see a large amount of water has been collected. Another way to avoid contamination is to replace your old fuel filter. 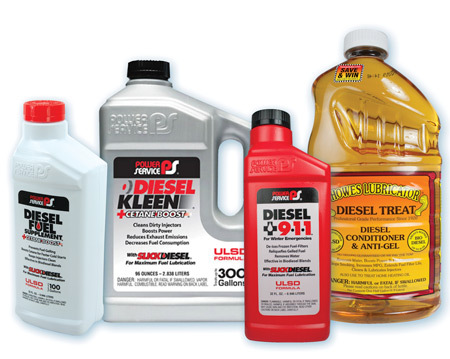 Diesel engines can be significantly harder to start in the winter because they require a higher cylinder temperature than gas-powered engines. To keep your engine warm through the night and to avoid any fluctuations in temperature, you may want to invest in an electric-powered block heater. A full inspection of your entire cooling system is key to your winterizing your truck. Check your hoses for any bulges, make sure your hose clamps are secure, check that your coolant is at an optimum freeze point, and that your radiator isn’t cracked or damaged in any way. If there is any damage to your cooling system, it’ll only get worse when the temperature drops. By emptying your air tanks, you can be sure that there is no residual water in your air system that could cause your air valves to freeze, affecting your brakes and air suspension. When you empty your air tanks and give them time to dry out completely, you can then add airline antifreeze. Once you do this, it will stop any threat of freezing in the future. It might not be a part of a typical winterization process, but make sure all parts in your truck are running and operating smoothly. Before you hit the road in potentially inclement weather, order the parts you need to make sure you are not left in an unwanted situation. As you know, time is money (especially in the trucking business). By taking the time to complete these steps, you will be able to avoid costly breakdowns and downtime that can negatively affect your bottom line. 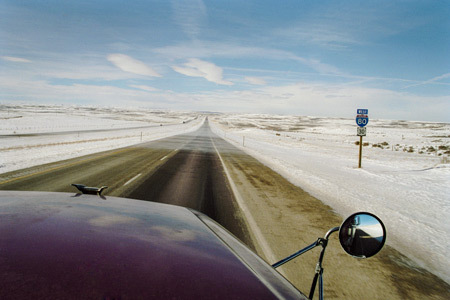 For more tips on how to keep your truck in tip-top shape this winter, visit our blog. This entry was posted on Wednesday, November 1st, 2017 at 5:20 pm	and is filed under Service and Parts. You can follow any responses to this entry through the RSS 2.0 feed. You can leave a response, or trackback from your own site. Estoy muy satisfecho de encontrar este blog. Quería daros las gracias por postear esta genialidad. Sin duda he saboreado cada pedacito de ella. Os te tengo marcados para ver más cosas nuevas de esta web . be sure about your battery, charging system, and belts checked properly, also check they are working in order. Checking your windshield wiper is also necessary before the weather go terrible. Hence inspect windshield wiper blades are in good condition or not. Fill your windshield wiper fluid once in a year.